[Updated 3/24/2018] Characterized by high mountains, Atok can be cold and cruel during the winter months. Although those who are seeking a reprieve from the more cruel heat of the sun will find the conditions a bit relieving. Because Atok experiences cloudy and freezing temperature’s due to its high elevation, certain areas are prone to what’s called locally as andap or frost. Experts believe that the andap phenomenon occurs when temperatures drop below 10 degrees Celsius. Experts also believe that Atok’s drop in temperature’s is around two to three degrees lower than that experienced in Baguio City. But despite the conditions, the main livelihood in town is farming. Various crops are planted throughout the year which includes cabbage, wongbook, potatoes, sweet peas, carrots and broccoli – just to name a few. 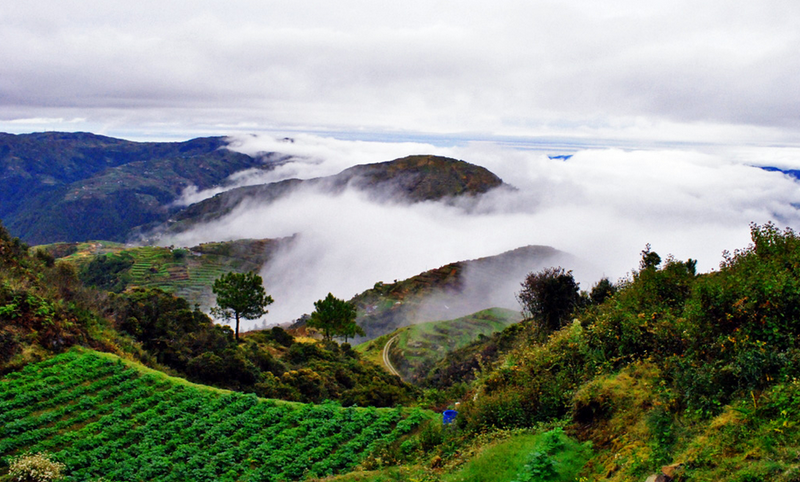 Located in the province of Benguet, Atok is surrounded by Kibungan in he north, Kabayan on the northeast, Bokod on the southeast, Tublay on the southwest and Kapangan on the west. 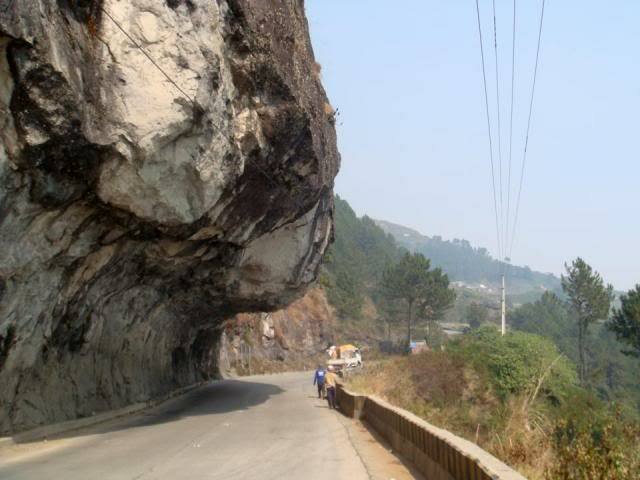 It’s located about 46 kilometers from Baguio City. The highest point in the Philippine Highway System is found at Barangay Paoay, which is along Halsema Highway and is around 2,255 meters above sea level. During the Spanish occupation, Atok was referred by both natives and colonizers as Chontog, which is an Ibaloi word for mountainous. The Spaniards arrived in town in 1892 and established tax collection stations in the area, as well as surrounding settlements. The name of the town comes from the Ibaloi phrase “Nay patok shi Chontog” which translates to “on the mountain top.” This was then shortened to Atok. The American occupation saw Atok become one of the 19 townships of Benguet. Atok became a site for battles between the Philippine military forces, Igorot and Cordillera fighters and Japanese Imperial Army forces. The land was deemed ideal for mounting ambushes and engage in guerrilla-style fighting. The name of the place where fighting occurred is called Guerrilla Saddle and is located at KM 26 in Caliking. Mt Timbak – the third tallest mountain in Luzon, next to Pulag and Tabayoc. It’s also the highest of the mountains along Halsema Highway and covers a wide range. The hike up the mountain isn’t a difficult one and can be managed around 15 minutes. At Timbak, you get great views of Tabayoc, Pulag, Purgatory and Ugo. In addition, views of Halsema and Mt Sto Tomas are also great fro the summit. 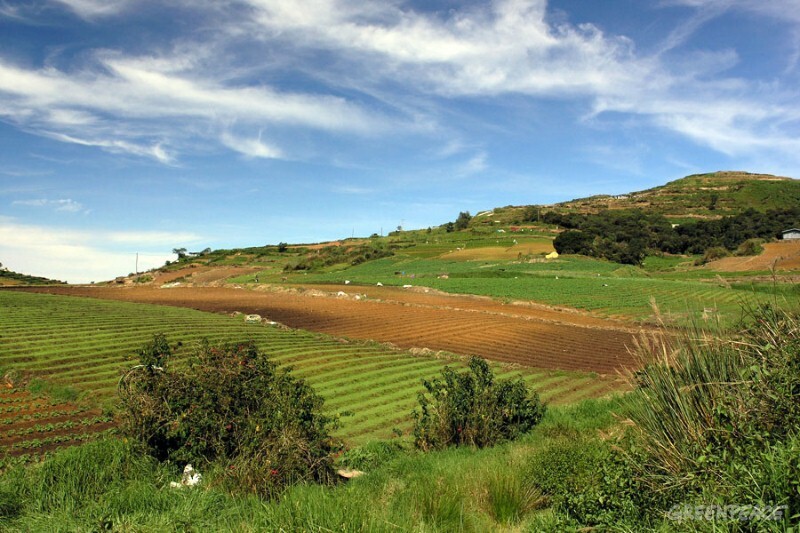 You’ll also find upland vegetable farming, as well as friendly locals in Timbak. Of course, the cool mountain air is also a bonus. To get here, start at KM 55 and walk up the road. Alternatively, you can rent a vehicle to take you all the way up so you’re just within fifteen minutes of the summit. Board a bus headed for Baguio. This can be found in front of the Sagada Church, which is along the main road. Keep in mind that the last bus to leave Baguio is at 1 pm. Ask the driver to drop you off in Sayangan if you want to spend the night in Atok. If you just want a day hike, have the driver drop you off at KM 55 where you can start your hike or meet with a guide. Atok is approximately a 2 hour-drive from Baguio City (depending on traffic situation), you could ride using vans and buses. When riding vans it will cost you 120.00, the van station is at Km.5, La Trinidad, Shell Gas Station. When riding bus, the bus station is at Slaughter Compound, Baguio City. You can ride buses bound to Bontoc, Sagada or besao. The only place you can get accommodation in Sayangan is AWAI or Atok Women’s Association Inc. They charge PHP200 for a room and it’s nothing fancy either. Plus, without any heater, you will be treated to a VERY cold shower. Wear lots and lots of layers in Atok, especially during the winter. As mentioned earlier, it’s one of the highest towns in the Philippines so it tends to become really icy cold during the cold months. Bring a flashlight if you intend to hike at dawn. I was born and raised in the Philippines for the first 20 years of my life.I used to travel on this rd since I was 5 years old and I was only 15 years old when I travelled this rd alone from lowlands to Lepanto Benguet where my parents lived.Back then it was a grueling 8 hour bus trip from Baguio to Lepanto and Hanselma Highway was just a dirt rd but even though for me it was fun traveling to a dirt bumpy rd .I always choosed to sit by the window because I had motion sickness and sticking my face out of the window gives me more comfort,I love the smell of the fresh pine trees ,I love thin cold air .The bus then will make an hour pit stop in one of the native restaurant along the highway near the highest point before continuing to travel for another 5-6 hours .That restaurant was not fancy at all it was a shanty looking place but the best part of this place was ,they cooked the best and the most fresh beef soup with fresh veg that came from their own farm that even if the temp dropped that soup will makes you warm all over and their vegetables dish it’s called chopsuey was one of the best I had comparing to a high end first class restaurant in the city.Those old native cooks were the best and I’m hoping that I will not be disappointed to go back to see the place when I visit this coming April.Im a Baguio girl,I studied in Baguio my relatives called me mountain girl because I love the mountain I don’t like the metro area ,people are rude and obnoxious,I like genuine people,people with good heart and this is the place where you see good people. Hi! I’m planning to live there at atok. Can u help me by giving me some advice ? Ms Aimee Sands , just i bit of unsolicited advice, try to avoid giving negative feedback on people in general,as you do not know most of them.you should have hit a very nice essay, but you failed the last part. Is that what you want to instill in the mind of your reader?